“It’s been an honor and a pleasure to come to know and work with all of you”. Good morning everyone! 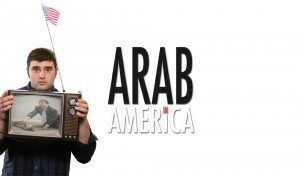 As many of you know, the Arab in America Feature Film Project is a project that I’ve been working on for a very long time. Over the last six years, I’ve met and worked with some of the most talented people America has to offer. I’d like to take this time to thank them all very much for their hard work, loyal dedication, and cherished friendships. To Read More, Check out the Full Post on Nabil’s Blog, DailyNabil.com.